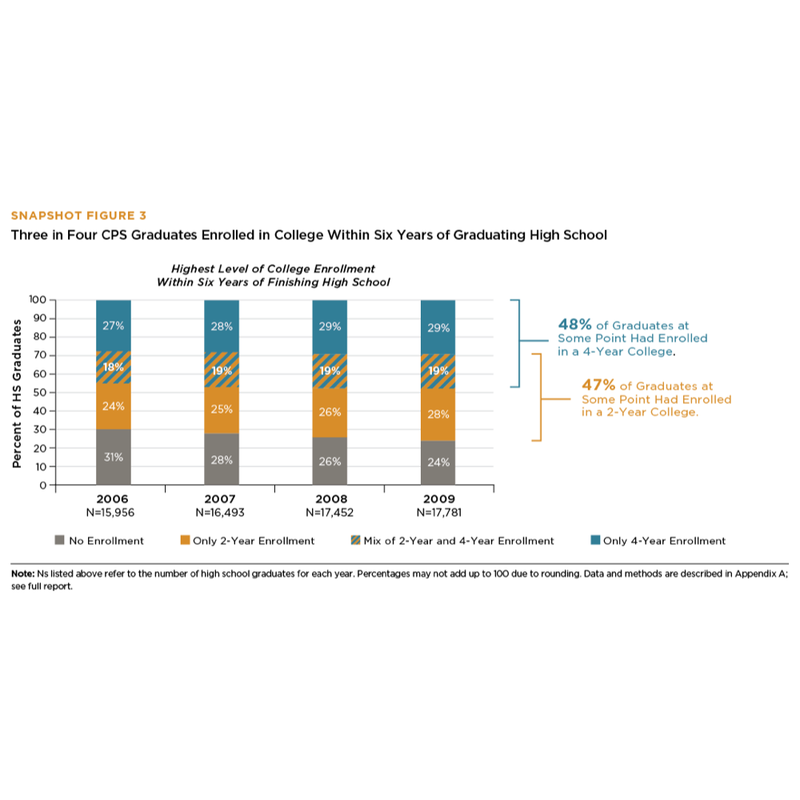 Since 2006, more and more CPS high school graduates have been enrolling in college. 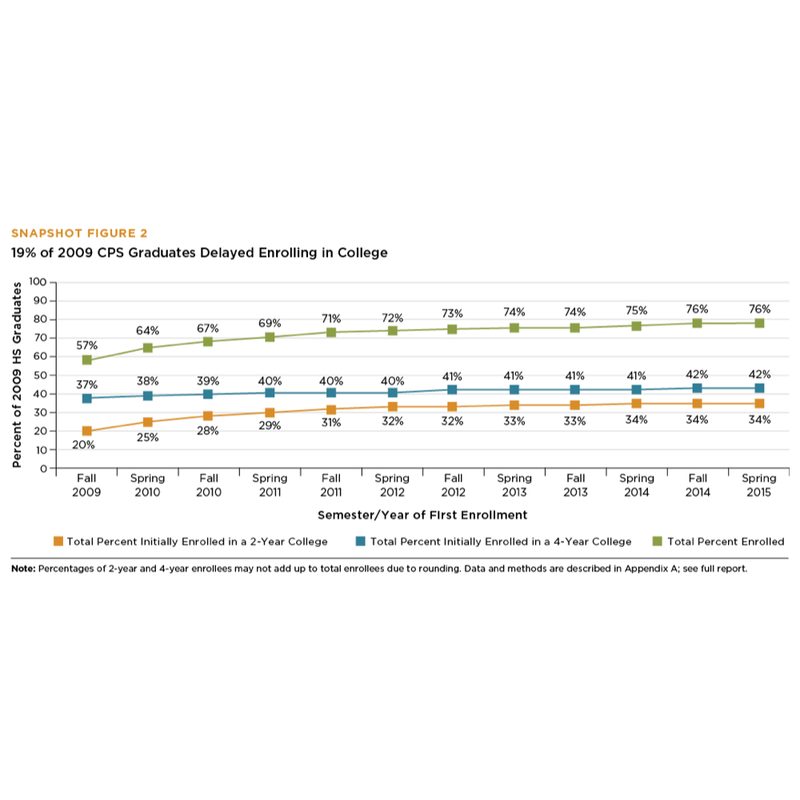 Nineteen percent of 2009 graduates didn’t immediately enroll, but did ultimately enroll in a two- or four-year college. And roughly 20 percent attended both a two- and a four-year college at some point. 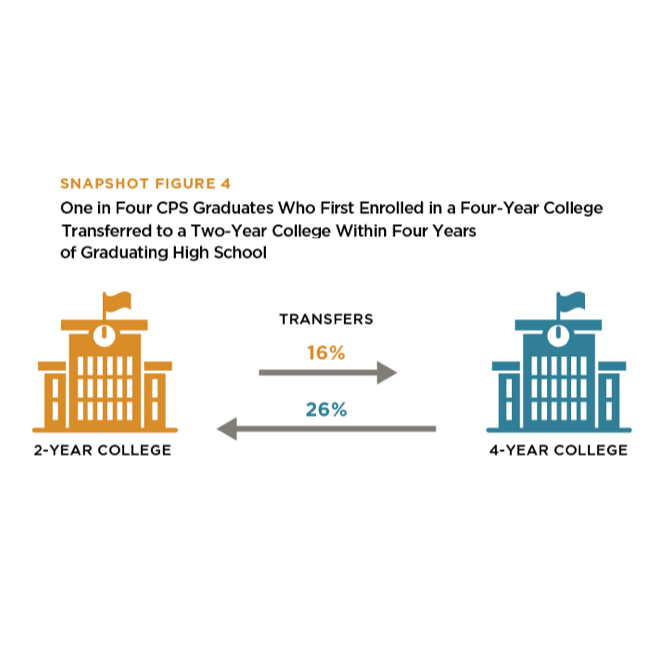 Twenty six percent of 2009 graduates transferred from a four-year to two-year college; 16 percent transferred from a two-year to four-year college. 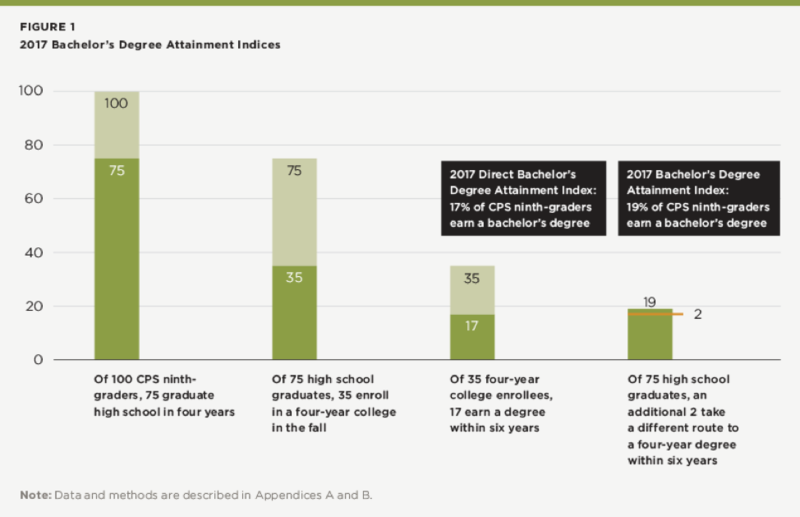 Nineteen percent of CPS ninth-graders are projected to earn a bachelor’s degree within 10 years of starting high school, based on current completion rates. 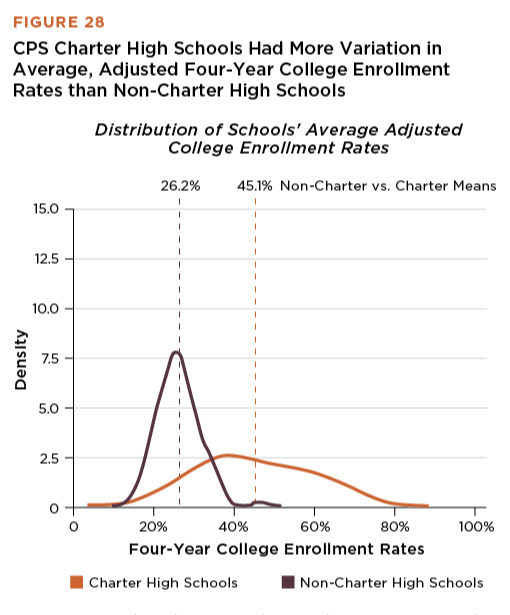 College enrollment rates are higher among students from charter high schools than non-charter schools, on average—but there is considerable variation across charter schools. 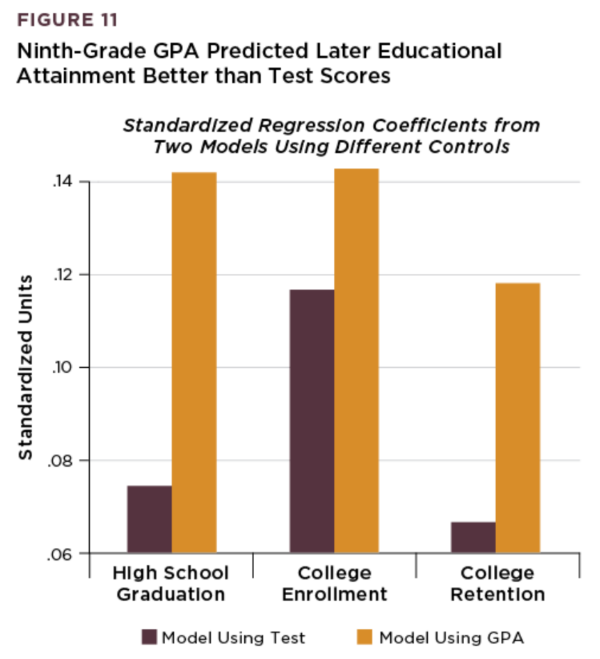 Ninth-grade GPA was more predictive than test scores of high school graduation, college enrollment, and college retention. The UChicago Consortium, jointly with the UChicago Poverty Lab, has established a new partnership with CCC. Its first project examines different methods to measure success for CCC students beyond what has been collected by the U.S. Department of Education. 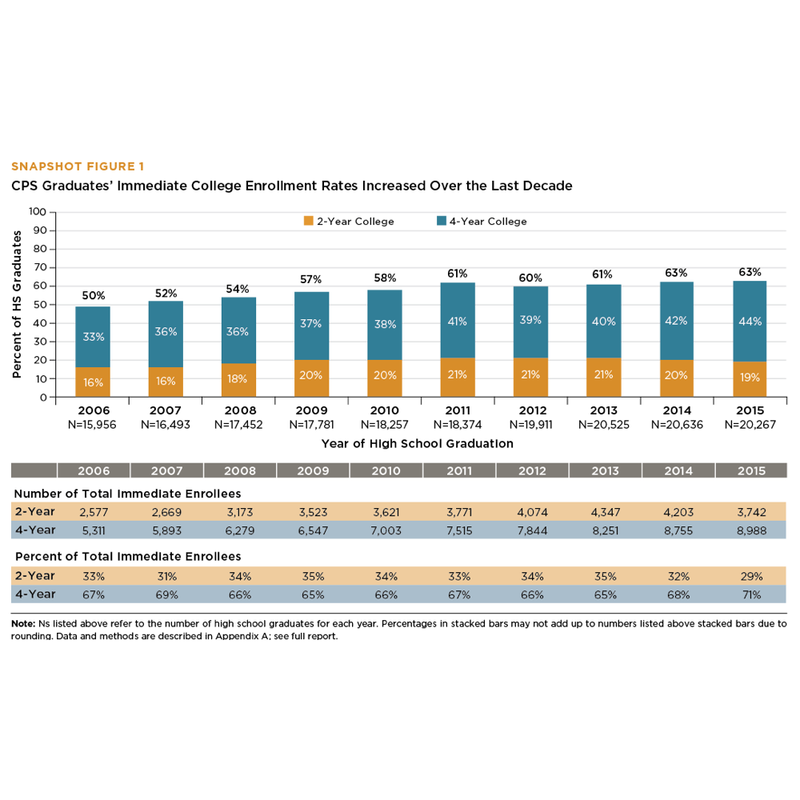 In partnership with NORC at the University of Chicago, the UChicago Consortium is using available administrative datasets and data from surveys of college alumni to understand what the college-to-career transition looks like for graduates of Chicago area two-year and four-year institutions, particularly for first-generation, Pell eligible college students.